Provincialeweg 3, 3641 Mijdrecht, Países Bajos. Benefit from free Wi-Fi connection, free on-site parking and modern accommodation in this first-class hotel. 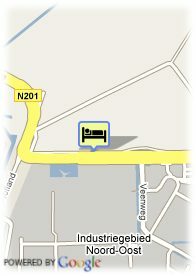 Hotel - Mijdrecht Marickenland offers various room types and a warm atmosphere for your stay. Situated near the recreation area of the Vinkeveense Plassen, you can easily try some water sports or simply go walking and cycling. The Grand Café - Restaurant Meesters is a stylish setting for a drink and a snack or a pleasant meal. Weather permitting, the wonderful terrace provides you with a great place to sit out and unwind. Proximidad a la autopista, Proximidad al aeropuerto. Breakfast is served from 07:00 until 09:30 during the week and from 07.30 until 10:30 on weekends. The restaurant is open from 11:00 until 22:00. The bar is open from 09:00 until midnight. The area around Mijdrecht invites exploration by bicycle or boat. There are many places where sailboats, rowing boats or electric boats can be rented. The flat polder landscape is ideal for long bicycle rides. The hotel is easily accessible from the motorway. You can reach Schiphol Airport and the city centres of Amsterdam and Utrecht in about 20 minutes.